UPDATE 2.35PM: The main street through Dalby has been fully re-opened, after emergency crews left Dalby's Commercial Hotel. Spokesmen for the Queensland Fire and Emergency Service, and the Queensland Police Service said investigations into what caused the famous pub to catch fire are continuing. Fire crews remained at the pub until midday, containing hot-spots and ensuring the safety of the area. No other buildings or businesses were damaged by the blaze. 8.30AM: The main thoroughfare in Dalby is still partially closed, as police and fire fighters assess the damage to the Commercial Hotel. An investigation is underway into what caused the Dalby pub to go up in flames just before 2am. 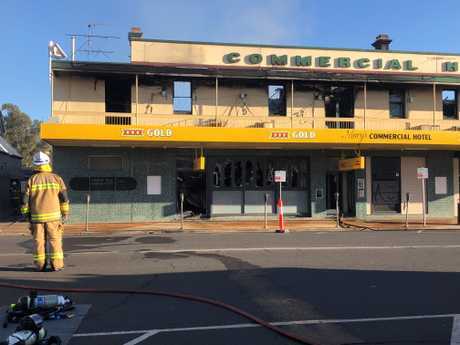 Surrounding businesses have not been damaged by the blaze, according to QFES. 4.30AM: Investigations have begun to determine what caused an iconic Dalby pub to catch fire overnight. 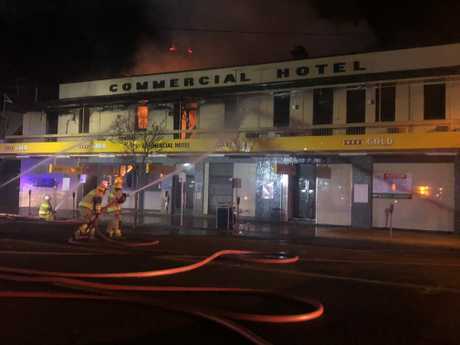 Acting Inspector Peter McCarron said fire crews battled hard to contain the fire which had engulfed the Commercial Hotel. "Crews have worked really hard to contain the fire, and stop it spreading to other premises," he said. "We are now working to try and contain any hot-spots, and a fire investigation will be completed in the morning." No one is believed to have been injured in the fire. It is understood there was one person in the building when the fire started, and this person contacted emergency services. EARLIER: FIREFIGHTERS have battled through the early hours of this morning to save Dalby's Commercial Hotel. Emergency services were called to the pub, affectionately known as Mary's, at 1.50am this morning. Fire crews have watered down neighbouring buildings to protect them from the blaze. 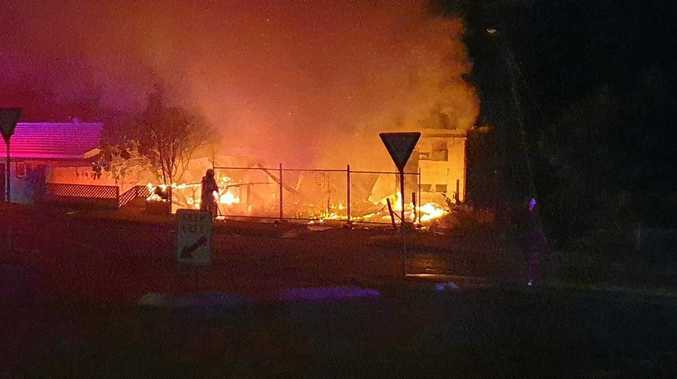 Dalby Police Sergeant Clinton Ryan said the fire had torn through the building. Sgt Ryan said an investigation into the cause of the fire was underway.